Happy Birthday Nikki and Brie! I hope you both have a day full of love and laughter. It’s an amazing feeling to look up to, and admire two incredibly strong, badass women. You both have accomplished so much and overcome so much to have everything that you do, and you more than deserve it all. Watching your wrestling careers, your lives in the spotlight on reality TV, birdie bees lauch, Bella Radici and more all unfold and come together for you has been amazing, and incredibly empowering. Nikki your strength makes me feel like I can do anything. Whether it’s coming back from you neck injury or just trying to do EVERYTHING, your strength is admirable, and empowering. Your work ethic is insane, and I don’t know how you do it but I love your passion and persistence to do it all. I love the way you’re always lifting other women up, and finding a way to stay fearless everyday. Brie your passion for such similar things as me makes me feel incredibly empowered. I don’t always like or have passion for the things others around me do, such as the environment, pr my diet of being a vegetarian. We seem to share an all around hippie vibe and love for the earth and it’s creatures and to share that same love and way of thinking as someone who I’ve looked up to for so long is an amazing feeling. I’ve loved being a fan of you both for so long, and seeing you grow from then, to today. I love watching you rise and fall time and time again, always keeping your heads up, always fighting, and always coming back even stronger and better than before. I remember my first WWE Show I watched Brie win the Divas Championship and at the time I was still figuring my love for wrestling out, In that moment I had no idea what witnessing that moment would mean for me. Looking back on it now, It’s incredibly exciting for myself to be able to say that I saw it happen live. I’ve seen you both perform live many times since then, and every time, I’d get just as excited to throw on my Bella gear and scream as loud as I can. 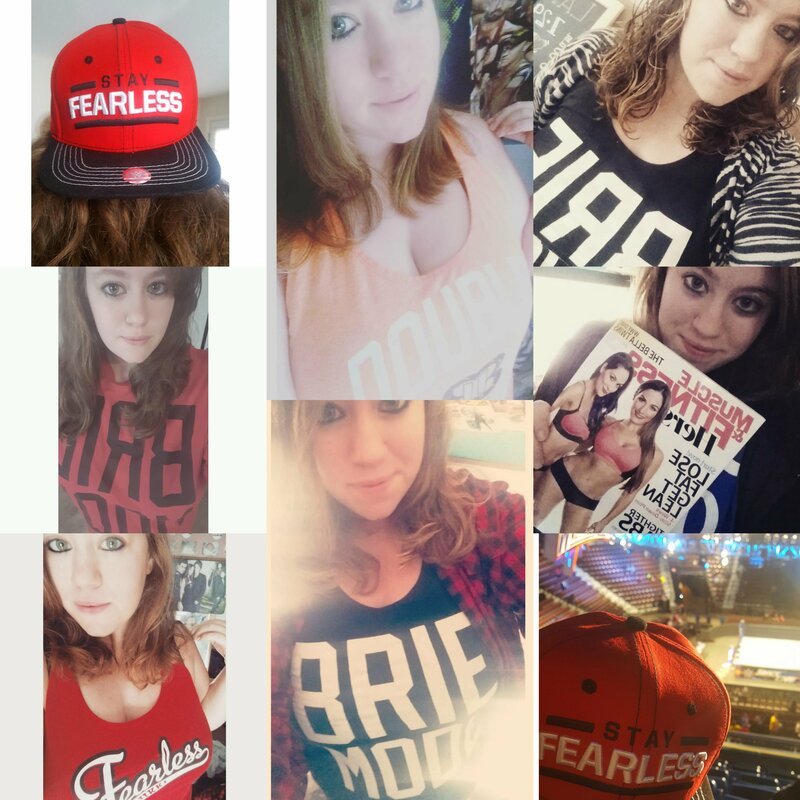 I’m a shy person, I have anxiety but there was always something about throwing on the Nikki Bella snapback and the Brie Mode shirt that felt empowering, you could even say it gave me a little more pep in my step. Whether you’re throwing down in the ring, dancing on the dance floor, feeding precious baby birdie, hanging out with Bryan and John, you let us into your world and I can’t image how terrifying that was at first, and still is. But I thank you for it. Whether on WWE TV, Total Bellas, Total Divas or youtube, I can get lost in the life of a Bella for even a short time and take a break from my own. The best thing? 99.9% of the time I’d come out feeling even more empowered than ever before. You both have done so much, and you’re only 34. You’ve got so much time ahead of you and I cannot wait to keep following along on your journey no matter where it is, or what it is that you do. I hope one day to meet you both and thank you for being yourselves in person, but for now this short blog post will have to do. Happy Birthday B & N ! Can’t wait to continue to watch you take over the world! Previous Post Book Review: Family Don’t End With Blood. Next Post 25 Things I’ve learned before turning 25.